Reminiscing about childbirth is something I still enjoy. 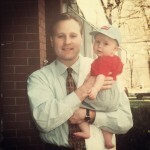 As my oldest just celebrated his 19th birthday recently, I’m warmed by the memories of that first pregnancy experience. A dear friend once opined that the best part is the labor. What kind of a crazy says such a thing to a pregnant woman in all seriousness and truth? Well, if you are one of those folks who squeals and squirms as the roller coaster ascends the tallest hill or you ravenously devour chapter after chapter in anticipation of the main character uncovering that life altering secret, then you may well understand her enjoyment in that climactic moment! I finally understood it, too…once my brain conveniently erased the pain memories over the first few weeks of new motherhood! It was a rush with an incredible prize at the end! When birth plans came from books and discussions with doctors…not Google. If you read our recent post about chiropractic and pregnancy, then let me enter some personal validation to this vital care. Nineteen years ago, I did not know everything about the best nutrition for me and my growing fetus…beyond what was generally accepted on the Food Pyramid and in the pregnancy books. I did not really exercise because I worked full time and traveled for business…and relied on my established muscles from years of dance and a marathon race in the prior year…and I was 27. What I did know that positioned me differently from most other pregnant women was knowing the benefit of chiropractic care for both this incubating life and mine. I felt firsthand the physical relief in my shoulders, mid back, and hips from each adjustment to my spine. The neck and back muscles, pulled so tight by my gradual hunching as the front half of me grew awkwardly outward, released and the messages through my autonomic nervous system could flow clearly once again throughout my body. That significant clearing of the nervous system also meant that my baby was receiving its vital messages from me. From a structural standpoint, the movement that a simple side posture adjustment put into my hip joints became my favorite adjustment and the necessary “training” for me to enter the next phase of pregnancy, labor. This approach was in stark contrast to my particular OBGYN’s practice that processed me in what seemed like a baby factory! Their western medical approach was more clinical and diagnostic, using some tests with incredibly weak predictors (AFP) and limited advice on natural childbirth. We were ignorant at the time to the midwifery approach, but I knew early on about the potential effects of labor and delivery drugs on the fetus and the mother. We did our best to be well-informed in a time where Google had not even hatched (at least for us.) Though we were still naive, we prepared our “birth plan” to include chiropractic care, Lamaze classes to learn the breathing techniques, focal points, spousal support and encouragement…and no drugs. In the end, the most important part of the birth plan was the dual role of my spouse! At five days beyond my due date in one of the busiest birth months of the year, my water broke following chili and Monday Night Football. Hard contractions that got closer together quickly made these first time parents anxious and ready to scoot to the hospital. The OBGYN expected us to be in labor for hours, so she said she may or may not see us before her on-call shift ended at 8am. Much to our surprise, we were not the only novices in the maternity ward at our local Woman’s Hospital. No nurse or resident working with us (or in the ward in at least two years to their claim) had attended a natural, drug-free birth…ever! Wow! Jim had better stay focused for us both! The staff’s worry over my contractions became apparent with every offer of epidural cocktail they insisted was necessary. Jim kindly yet firmly stated that I was intending and working hard on a natural birth outcome and could they please “LAY OFF!” He knew the pain threshold was my decision only, but he coached and defended me against every frantic inquiry…right up until that baby’s shoulders got stuck. Well yes, I was laying on my back and there was no gravity in my baby’s favor. This made Coach Jim temporarily waffle, but then he recovered with one last instructive plea to the OB to let my body do the work. It did. Baby came at 7:10am. He was 8lb 1oz and healthy, sporting a tuft of white hair indicative of his many future hairstyles. It could have all gone very differently. Did my nervous system effectively communicate throughout my body at the right time for the birth process to begin? Did my hip joints and ligaments respond appropriately and timely to that brain message to get the baby out? Did my body respond to childbirth because I kept it well-tuned? I think “YES” and it’s not just my opinion. Recent research studies (for example, here, here, and here) have been conducted that prove just what I concluded from my own natural experience. Chiropractors have learned from the beginning about this safe, important care for expectant women and have been practicing it for decades. Read more here. In the end, pregnant mommas just want to know it’s safe and that it will get them feeling better, healthier, and stronger for the big day. We value the full field of healthcare practitioners that have matured in our ever-developing intellectual society. But we also know that some CONDITIONS do not need to be “handled” as a single unit in a widespread lab experiment. We personally made a few small (at the time) decisions for a natural birth outcome with respect for our own “limitations of matter.” In chiro-speak, that means that we recognize the potential of outside influences and unintended consequences on outcomes at the birth. I was thankful to have a willing spouse to share in the decision-making should we encounter any life-threatening emergencies. And it was helpful to be informed from a chiropractic philosophy that utilizes the innate, self-healing ability of the body to recover from dis-ease. Thus evolved our story of further embracing our human bodies with the love and respect deserving of this vessel designed by our Creator. It also began our eventual pursuit of another birth story that felt less clinical to us and more celebratory of a forthcoming life. Boy, did we find it! That’s a fantastic story for another day. For now, consider the chiropractic approach to prenatal care and childbirth. It’s worth a discussion, now that you can Google more about it than you could ever possibly use! If you have a chiropractic influenced birth story, we’d love to hear it and celebrate with you!